Committed to ensuring that children, young persons and vulnerable persons can participate in all football activities in a safe environment, the updated Policy document is of crucial importance to the Association. The Children First Act 2015 has provided a great statutory framework for all, supporting children and young persons ensuring that they are kept safe and their welfare maintained to a high standard whilst participating within the services provided. Republic of Ireland manager Mick McCarthy, assistant coaches Terry Connor and Robbie Keane, Under-21 manager Stephen Kenny and numerous international head coaches were in attendance to support the launch. Speaking at the event, FAI President Donal Conway spoke about the importance of the updated Policy document. "I'm a father and grandfather, and children bring so much added value to our daily lives. Nobody can argue that every child enriches our lives. "We're blessed to be involved in football. We're all invested in it. That investment bring responsibilities. Everyone wants football to be a place where children can evolve, develop and enjoy themselves. "We want our clubs to be safe, welcoming and enriching environments. We will always be judged by how we look after the youngest and most vulnerable people in our society." FAI Safeguarding and Child Welfare Manager Kirsten Pakes said the Policy document should be essential reading for all footballing bodies in Ireland. 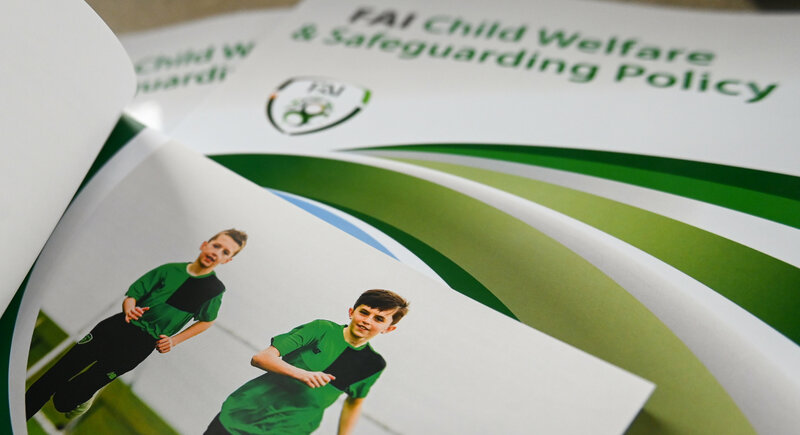 “The updated FAI Child Welfare and Safeguarding Policy follows the principles outlined in relevant guidelines and legislation provided by Statutory Authorities and Sport Ireland. It aims to set out guidelines and procedures to assist those working with children within the game and where appropriate those working with vulnerable persons. "It is the responsibility of all adults involved in football to actively promote best practice standards whilst being ever vigilant and aware of their responsibilities. Every child deserves to participate in the sport they love and not be afraid and we have to make it happen." The Football Association of Ireland has launched a new and updated version of the Child Welfare & Safeguarding Policy.